naturalists in April 2002 to help protect the Ruby Lake Lagoon from development. Together, the Lagoon Society and local landowners helped to acquire the land around the lagoon. Three years later they built and opened the Iris Griffith Field Studies and Interpretive Centre (IGC), a state-of-the art green building and education facility. The IGC is now a hub of activity for schools all along the Sunshine Coast as well as local families, providing outdoor classrooms, a restored wetland, hiking trails, interpretive signage, and wonderful displays about our local biodiversity. At the IGC we also showcase many different sources of green energy, such as solar and wind power, and have beautiful native wild flower gardens and landscaping. Throughout the year there are numerous opportunities for public participation in workshops, guided walks, meetings, performances and other events regularly organized by the society. 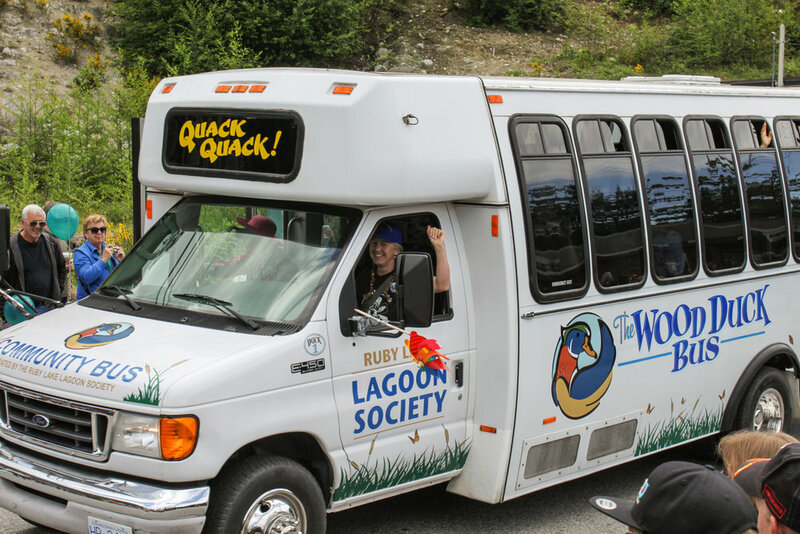 The Lagoon Society also now runs the EarthFair Store in Madeira Park and operates the 20-passenger Wood Duck Community Bus.